We’d love your help. 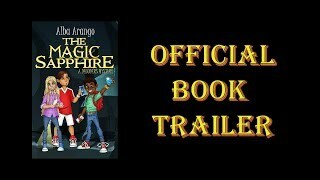 Let us know what’s wrong with this preview of The Magic Sapphire by Alba Arango. Steve, Matt, and Jenny always dreamed of becoming detectives. One day, their dreams become reality when they discover an ancient treasure map written by a pirate named Elias Darby over three hundred years ago. According to legend, the dying pirate hid a magical stone with mysterious powers somewhere in the Northern California hills, with only a poem titled El Alma de Dios Steve, Matt, and Jenny always dreamed of becoming detectives. One day, their dreams become reality when they discover an ancient treasure map written by a pirate named Elias Darby over three hundred years ago. According to legend, the dying pirate hid a magical stone with mysterious powers somewhere in the Northern California hills, with only a poem titled El Alma de Dios as the key to locating it. As the trio begins their search for the treasure, they unknowingly attract the attention of an international jewel thief named Frank Alexander. When the investigation leads the three friends to a string of hidden caves filled with booby-traps, they are confronted by the jewel thief and his diabolical plan to force the kids to find the stone and give it to him. Given no choice, the detectives must brave the dangerous traps to find the hidden treasure and develop a plan to outsmart the jewel thief. 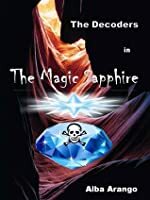 To ask other readers questions about The Magic Sapphire, please sign up. Neat story. I liked the mystery and how the 3 kids went on an expedition into caves. They used a poem to help solve the mystery. Alba Arango writes books that are “imaginative and a lot of fun to sleuth around with.” (Readers’ Favorite) Follow her on Bookbub to receive notices about her new releases and sales, and join her monthly newsletter at AlbaArango.com to receive a (once-a-month) entertaining newsletter full of event info, monthly highlights, crazy laws, and all-around mischief. Alba is a retired high school teacher Alba Arango writes books that are “imaginative and a lot of fun to sleuth around with.” (Readers’ Favorite) Follow her on Bookbub to receive notices about her new releases and sales, and join her monthly newsletter at AlbaArango.com to receive a (once-a-month) entertaining newsletter full of event info, monthly highlights, crazy laws, and all-around mischief.